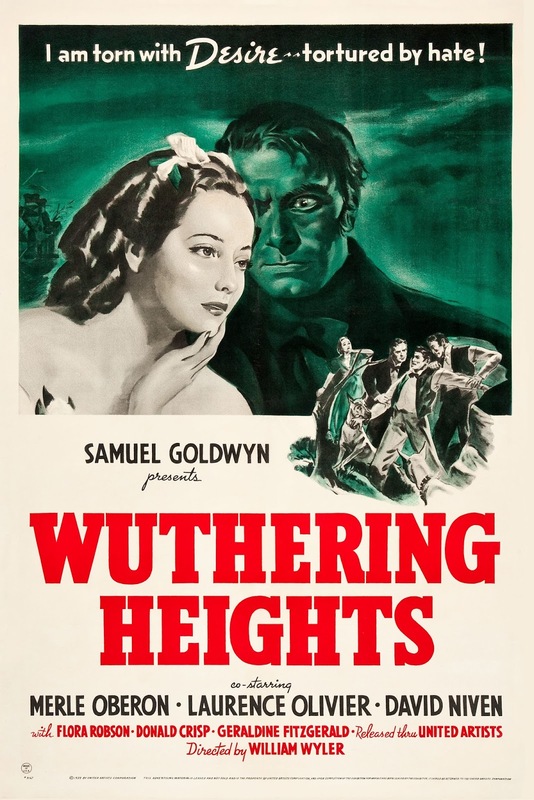 Wuthering Heights (1939) is one of the 1001 classic movies you should see. This literary adaptation stars Laurence Olivier and Merle Oberon as a couple whose love transcends death. Each week, I'm going to recommend a classic movie you should see (for the reasons behind the 1001 series and reviews of earlier films covered go here). Throughout October, I'll be writing about old Hollywood films inspired by English literature. This week's selection is the 1939 adaptation of Emily Bronte's 1847 novel, Wuthering Heights. 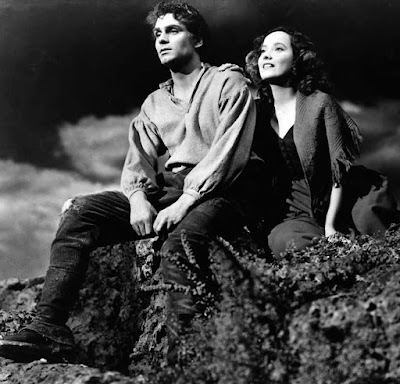 Wuthering Heights tells the story of Heathcliff (Laurence Olivier), an impoverished Liverpool orphan who is adopted by a Yorkshire man, Mr. Earnshaw (Cecil Kellaway). Heathcliff and Earnshaw's daughter, Cathy (Merle Oberon), fall deeeply in love, but Earnshaw's son, Hindley (Hugh Williams), despises Heathcliff, and when Mr. Earnshaw dies he treats Heathcliff as little more than a servant. The troubled young man eventually runs away to make his fortune in America after Cathy rejects him for a new suitor, the upper-class Edgar Linton (David Niven). Independent producer Samuel Goldwyn bought the Ben Hecht-Charles MacArthur script for Wuthering Heights as a lavish vehicle for his top star, Merle Oberon. Goldwyn hired the then relatively unknown Olivier to play Heathcliff after considering and then passing on Robert Newton, Ronald Colman, and Douglas Fairbanks, Jr. The reported on-set battles between Oberon and Olivier only added to the dramatic tension of the final film, which won a great deal of critical praise in 1939. Wuthering Heights isn't a particularly faithful adaptation of Bronte's novel: The film only covers the first half of the book, and, much to director William Wyler's dismay, Goldwyn tacked on an upbeat final scene that bears no resemblance to Bronte's tale of tormented love. However, The 1939 movie is still the best among the many screen adaptations of Wuthering Heights. Bronte's bleak story works best in black and white, and the reported tensions between Oberon and Olivier only fueled their onscreen portrayal of two passionate people whose romance lingers beyond the grave. 1. Location shooting. The countryside around Thousand Oaks, Calif., was transformed into the barren Yorkshire moors by Goldwyn's production crew. They planted approximately 1,000 Scottish heather plants and then spray-painted purple 15,000 tumbleweeds to look like heather. 3. Cinematography. Wuthering Heights' director of photography was Gregg Toland (Citizen Kane, The Grapes of Wrath), and his technical wizardry greatly enhances the movie. Watch for the use of authentic period lighting -- the actors' face are illuminated by candles, fireplaces, and, in one crucial scene, lightning -- and his fluid, graceful camerawork in a pivotal party scene. 4. Costumes. Wuthering Heights actually takes place in the early 1800s, but the fashions, especially the gowns designed by Omar Kiam for Merle Oberon, are from the Victorian era. Goldwyn believed off-the-shoulder gowns and hoops skirts looked particularly flattering on Oberon. 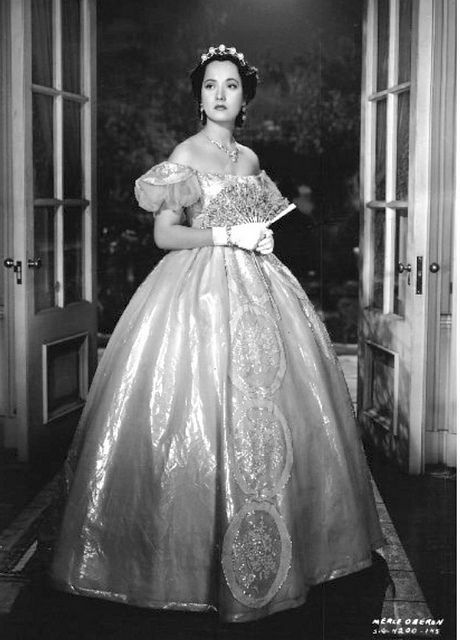 Merle Oberon in an Omar Kiam designed gown for Wuthering Heights (1939). Other critics: Wuthering Heights has an 100 percent fresh rating on Rotten Tomatoes and Leonard Maltin writes that "sensitive direction and sweeping performances propel this magnificent story of doomed love" in a 4 star review for his Classic Movie Guide. Critics in 1939 had mixed opinions of the film. The New York Times critic Frank S. Nugent penned an out-and-out rave writing that the filmmakers have "done right by our Emily. . .It is, unquestionably, one of the most distinguished pictures of the year, one of the finest ever produced by Mr. Goldwyn, and one that you should decide to see." The box-office minded Variety reviewer was less enthusiastic. He/She felt the film was an "artistic success," but that it lacked "general appeal." "Its sombreness [SIC] and psychological tragedy is too heavy," the reviewer concluded. The Bottom Line: Despite taking many liberties with its source material, Wuthering Heights is still the best screen version of Bronte's novel. 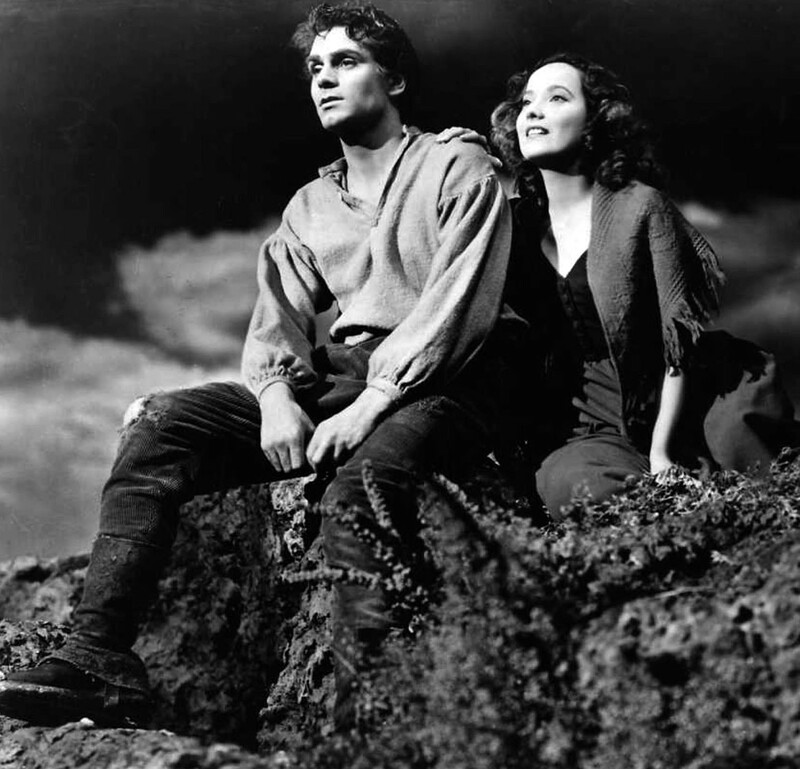 Availability: Wuthering Heights will air at 12:15 p.m. Oct. 22 on TCM. Also available for streaming on FilmStruck. On DVD and video on demand. Next week, I'll look at the 1953 adaptation of H.G. Wells science-fiction novel, The War of the Worlds.